At the time of all fall and spring maintenance checks, the service technician is required to complete a multiple point inspection on all heating and air conditioning systems. Inspect burners for more efficient burning. Vacuum, clean and brush the heat exchanger. Visually inspect the heat exchanger for cracks, holes, and separations. Vacuum and clean blower housing, furnace exterior and remove all debris. Lubricate motor for proper operation. Adjust fan belt tension (if necessary) to maximize operating efficiency. Check and tighten all wire connections. Test gas valve for proper operations. Check thermocouple/electronic igniter for proper operation. Inspect flue for blockage and poor ventilation. Test fan and furnace limit for proper operation...reducing the risk of furnace fires!!! Test thermostat for proper heat anticipator setting, for greater comfort. Adjust gas pressure, if needed. Clean furnace interior and exterior. Check condensate pans and drains. Check and adjust blower components, if needed. Lubricate and grease all bearings and motors as needed. Check fins on outside condensing unit. Check temperature drop and rise (cooling and heating). Inspect overall condition of unit. Install new 1" throwaway filter. Cook's Heating and Cooling offers several types of service agreements. Residential customers have the choice of either Premium Plus or Premium servic agreements. Cook's Heating and Cooling also offers a commercial service agreement for businesses. The commercial agreement is set up to accommodate the needs of the business. Any of the plans can be set up on a year-to-year basis or a 5 or 10 year plan. Complete spring and fall check on your system. 24-Priority emergency service with no overtime charges. All labor and necessary replacement parts. 20% Discount and inflation protection on 5-year and 10-year service contract plans. 20% discounts on parts and labor. The costs of the Premium Plus and Premium are yearly costs, and will need to be renewed each year unless multiple years have been selected on the service agreement. Standard filters are changed at each check and clean. Water panels are changed one time during the agreement year, unless stated different on the agreement. A special filter such as Health Guard filters is 2 changes per year. *Discount does not apply for out of warranty heat exchanger, burners, coils, compressors, and ductwork. Should you have any questions or concerns please call our office at 316-945-2665 and ask for the service department. Thank you for your confidence in using Cook's Heating and Cooling for your heating and air conditioning needs. 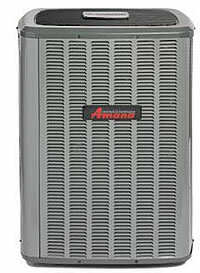 Having annual maintenance performed on your furnace and air conditioner will give you peace of mind and can lead to a reduction in your utility bills, and longer life of your equipment. It is highly recommended to have your furnace and air conditioner inspected and cleaned in the fall and spring.